Want the latest information about our flowers and farms? 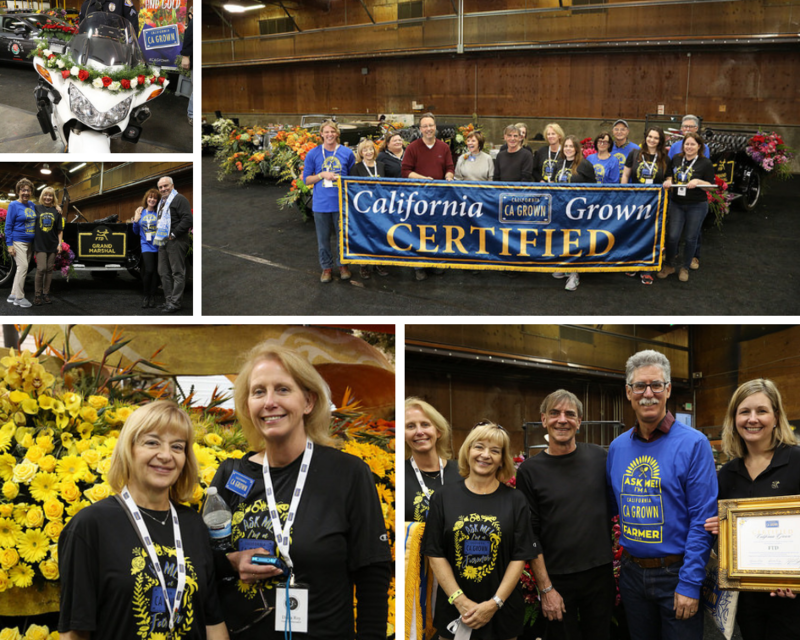 Plans for the first two Certified CA Grown entries at the 2019 Tournament of Roses Parade are already underway, and the ramp up to the New Year’s Day tradition has begun. The entries from Cal Poly Universities and FTD Companies Inc. – the first to announce so far – will both feature CA Grown flowers and foliage. Additional CA Grown entries will be announced in coming weeks, including a number of equine entries. 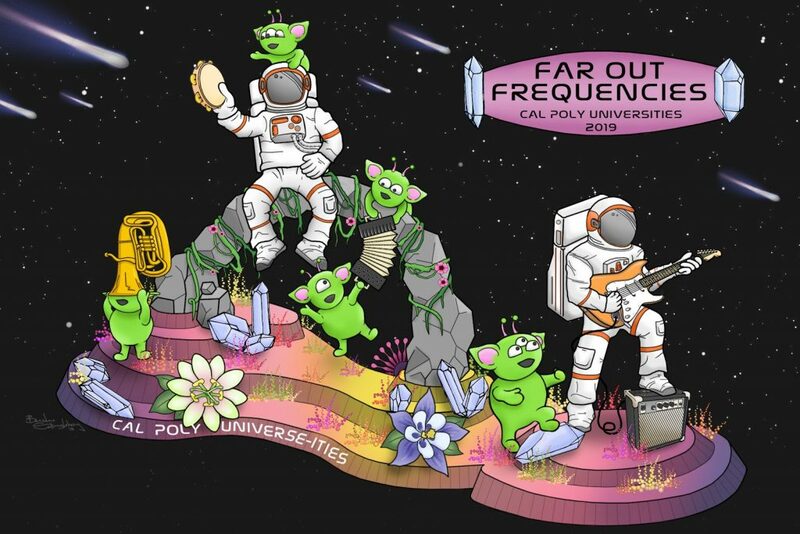 The float will feature two giant astronauts who are rocking out with a group of green aliens. At the front of the float will stand Morgan, a 12-foot astronaut who strums an electric guitar, and his new alien friend “Ketchup,” who plays air guitar. The space concert also includes Astronaut Sally on tambourine, two aliens on accordion and Tuba Head, a little alien whose head is stuck inside the instrument. In addition to the featured characters playing their instruments, animation on the 2019 float includes the movement of eyes and arms on some of the aliens. LED lights will add sparkle to the planet’s crystal formations and the guitar amp. The California Cut Flower Commission’s (CCFC) Anna Kalins, who leads the organization’s Rose Parade efforts, is seeking donations of flowers and greens for the Cal Poly float. In the past, 25 farms have donated flowers to the effort. Also needed are Rose Parade ambassadors to help at the event itself and in the days leading up to the parade. It’s a great way to connect with consumers directly, share your passion for California Grown Flowers and spend time with industry friends! To donate flowers or volunteer, email Kalins at akalins@ccfc.org.